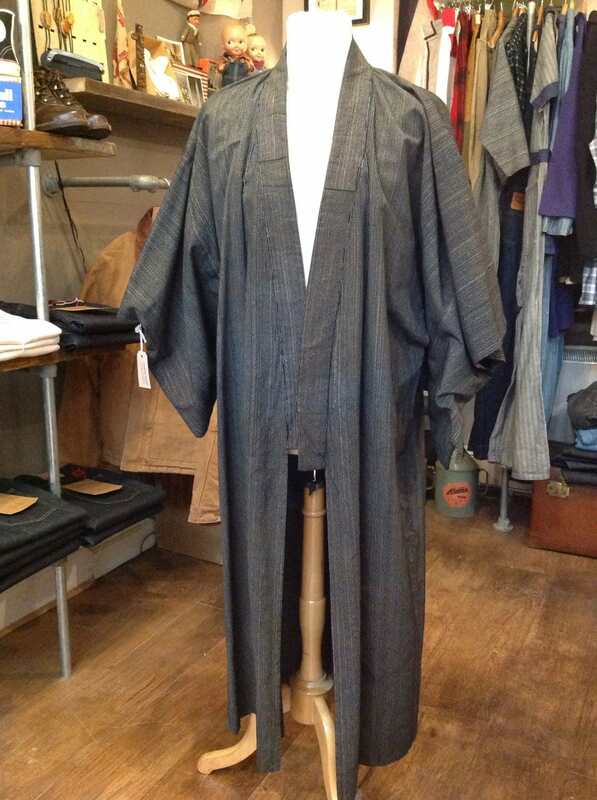 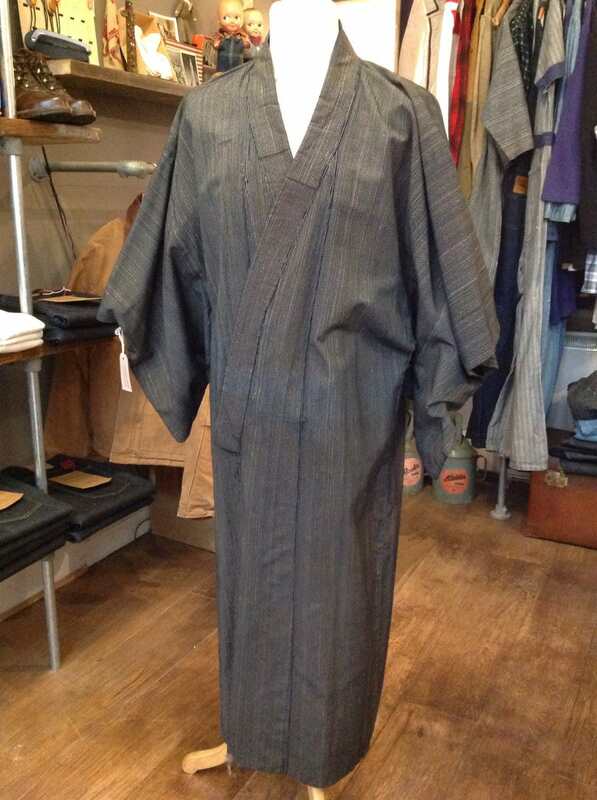 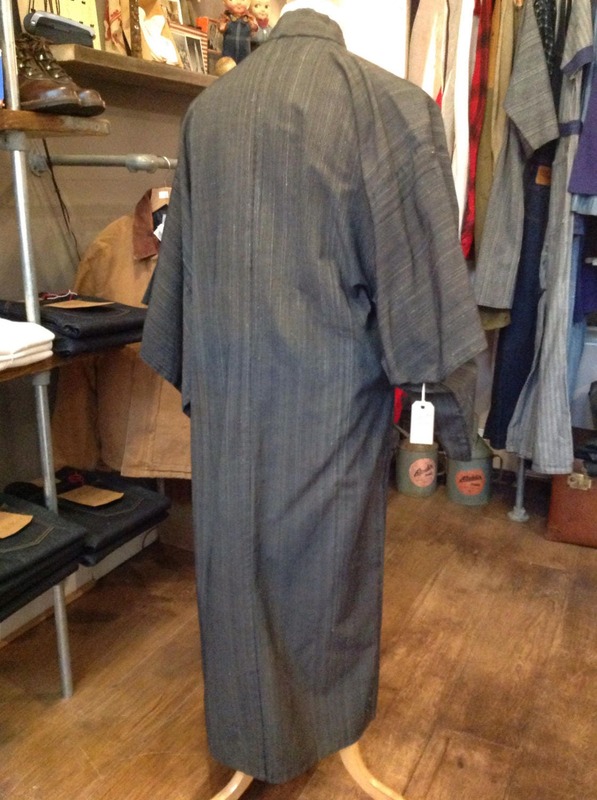 A long traditional Japanese open fronted kimono. 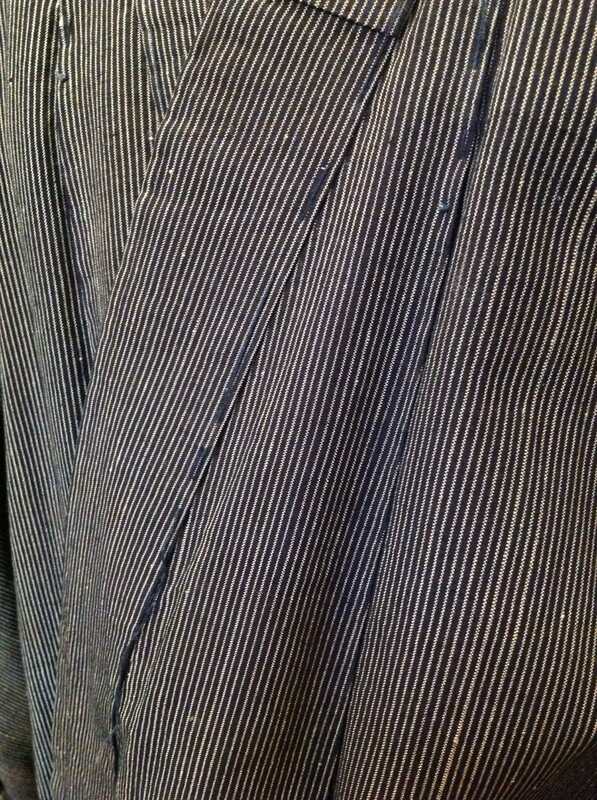 Noted flaws - some marking and fading around the collar and chest area, frayed hole on the back of the left shoulder. 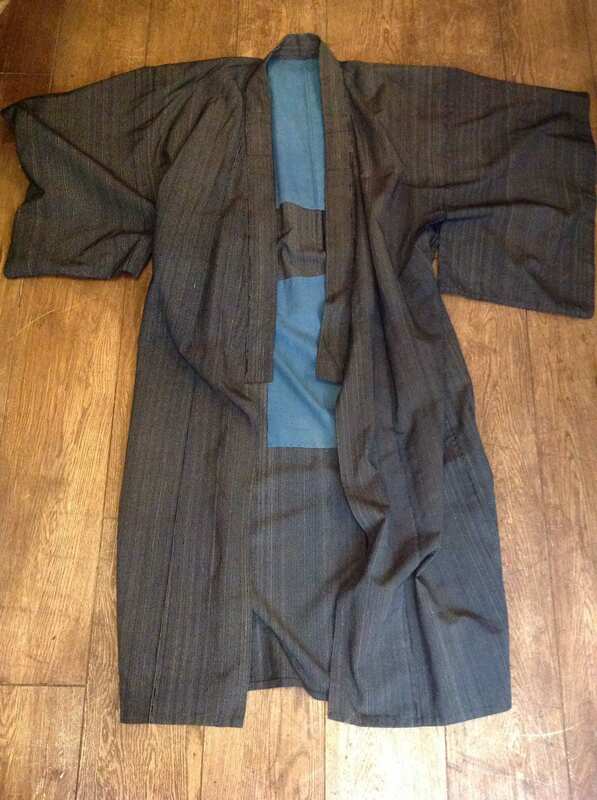 Great condition otherwise, beautiful deep indigo woven pattern, open underarms, boro style patches sewn inside, deep sleeves, could be worn around the home or with jeans as a lightweight coat.